Maggie Vaas is the director of The Atlantis Dream Team, an outreach based NPO that attends to the social development needs of the Atlantis community. Maggie has been with the NPO for many years and under her supervision, it has grown and enjoyed the continuous support of the CWD and other benefactors like Caban Investments. 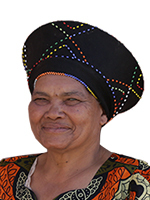 She is a motivated community leader and businesswomen. Maggie’s love for her community is evident in her daily dedication to the organisation. Expansion plans for The Atlantis Dream Team, includes a youth centre and a crèche. By aligning their goals with a business like Qei Holdings, the Atlantis Dream Team is setting the trend for local economic development initiatives. B.Compt, Professional Accountant (SA)Dave qualified as a Professional Accountant (SA) in 1987. He Joined a Corporate Finance Company after qualifying where he got the first taste of Venture Capital. Dave became the Financial Director and later, the Managing Director of Equivest, a Venture Capital Group.During 1991, Dave established his own Venture Capital Company which was listed on the Johannesburg Stock Exchange on the 25th of November 1997. REF Finance and Investment Corporation Ltd focussed on the ICT industry. Highlights of this company include being ranked 21st in a Business Times Top 100 Companies survey during 1998, ranked the 40th fastest growing company in South Africa, with investors receiving a 1,800% return over a five year period. 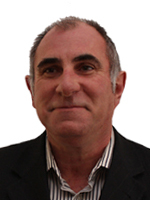 Dylan is a highly respected business development specialist focussing on media and media related industries. He has launched, directed and produced some of the leading business to business events in South Africa with a special focus on skills and leadership development. Other sectors include the medical, tourism and energy industries. The success of these ventures led to him being nominated as finalist in the business services category at the Rising Star Awards in partnership with the Human Capital Institute. His passion for developing entrepreneurs led to the founding of Dylan James Media in 2013 which acquires interest in upcoming media houses as well as empowers, mentors and develops entrepreneurs in the media industry. 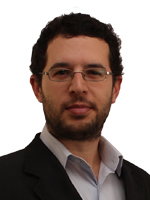 He is also a director of the annual Entrepreneur Expo and digital media agency Siempre Media. Dylan has a strong marketing background and is a powerful networker and connector. He is a previous Council Chamber Member of the Cape Chamber of Commerce. Dylan is the COO of Caban Investments Ltd.
Andre is a Cape Town businessman and one of the founding trustees (since 2002) of the Atlantis Dream Team. 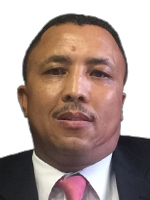 A keen supporter of community development and support, Andre took on the position of Chairman of the Dream Team to bolster the administrative aspects and assist with further fundraising.Andre is the founder of Erasmus Taxis.